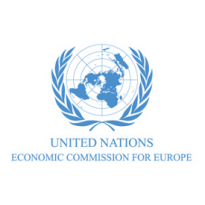 UNECE's major aim is to promote pan-European economic integration. To do so, it brings together 56 countries located in the European Union, non-EU Western and Eastern Europe, South-East Europe and Commonwealth of Independent States (CIS) and North America. All these countries dialogue and cooperate under the aegis of UNECE on economic and sectoral issues. However, all interested United Nations member States may participate in the work of UNECE. Over 70 international professional organizations and other non-governmental organizations take part in UNECE activities.